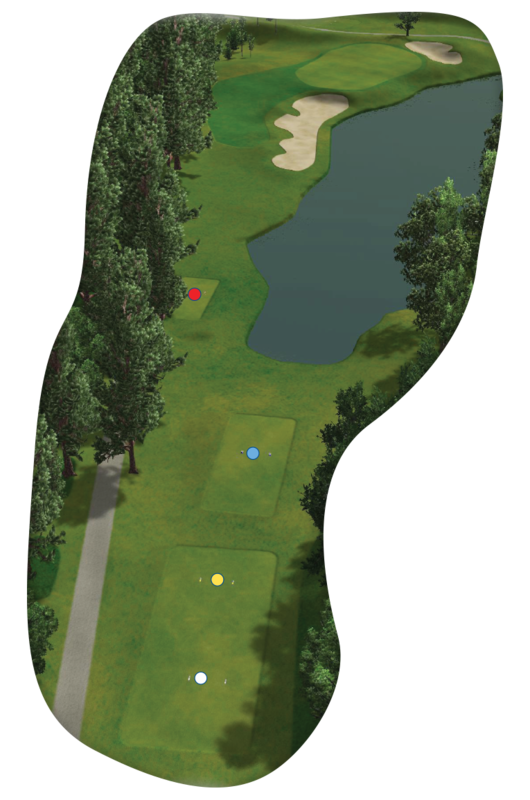 A long par 3 over water with anything landing short right of the green being destined to get wet. In front of the green is a deep bunker waiting. The left side of the green is the safe shot but don’t go too far, trees and long rough will make the recovery treacherous.